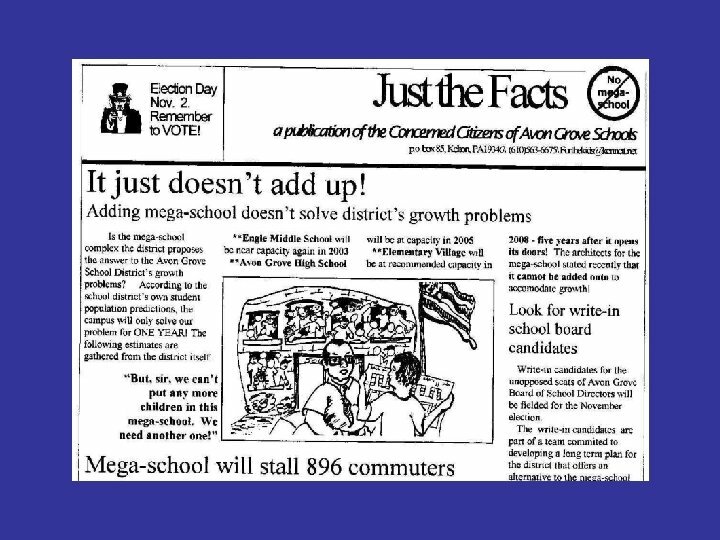 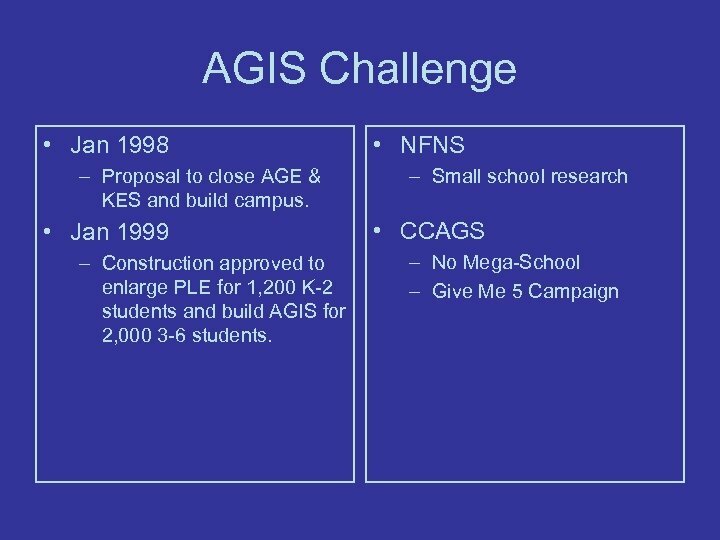 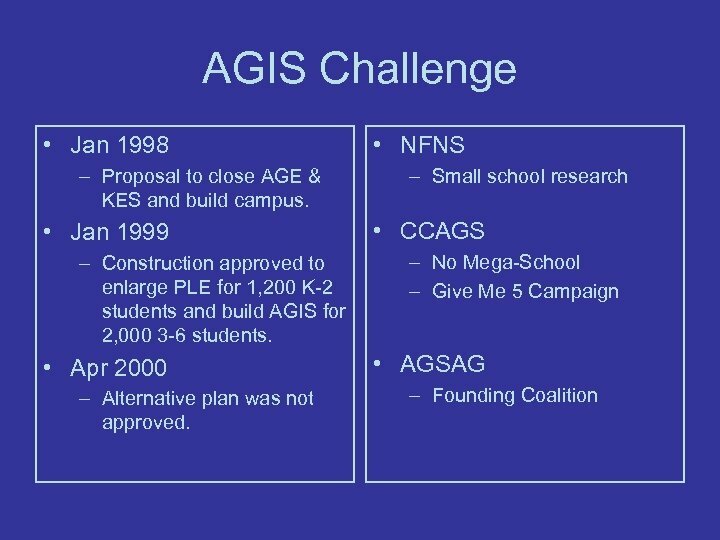 No Mega-School • CCAGS – Concerned Citizens for Avon Grove Schools. 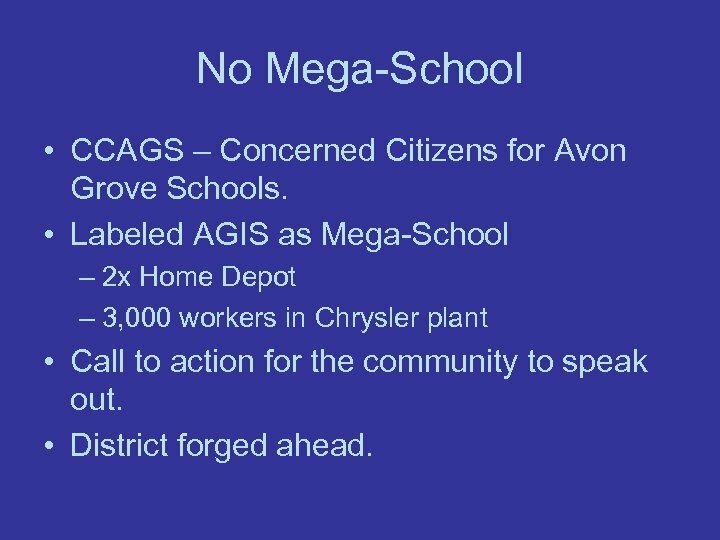 • Labeled AGIS as Mega-School – 2 x Home Depot – 3, 000 workers in Chrysler plant • Call to action for the community to speak out. 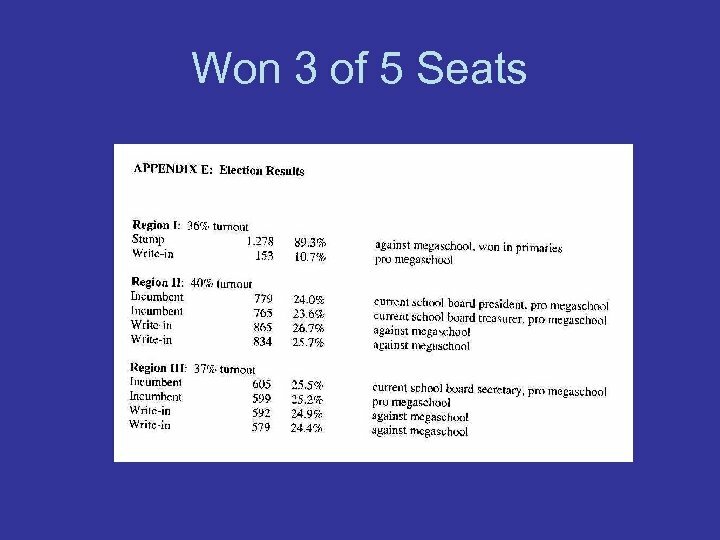 • District forged ahead. 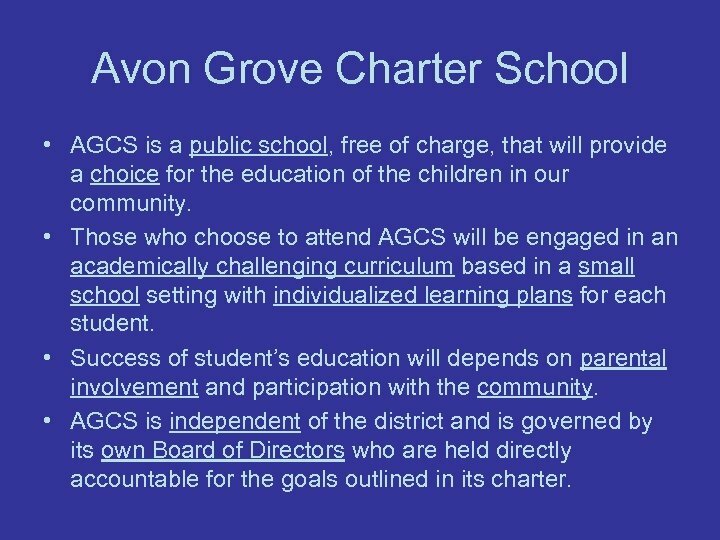 Avon Grove Charter School • AGCS is a public school, free of charge, that will provide a choice for the education of the children in our community. 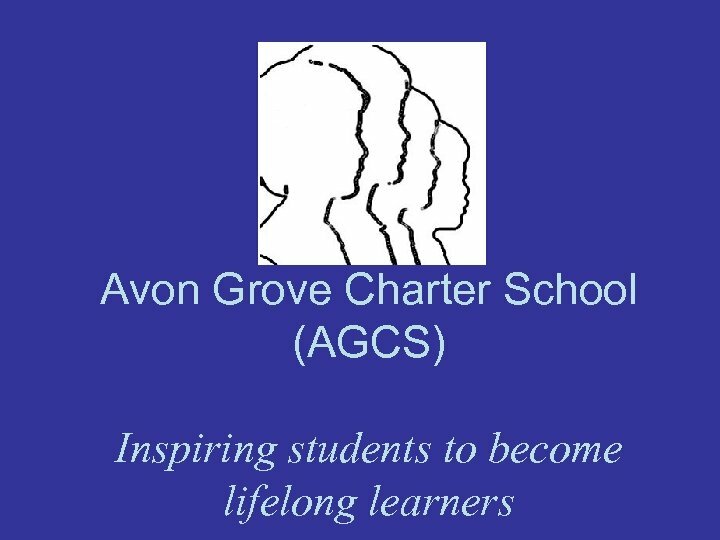 • Those who choose to attend AGCS will be engaged in an academically challenging curriculum based in a small school setting with individualized learning plans for each student. 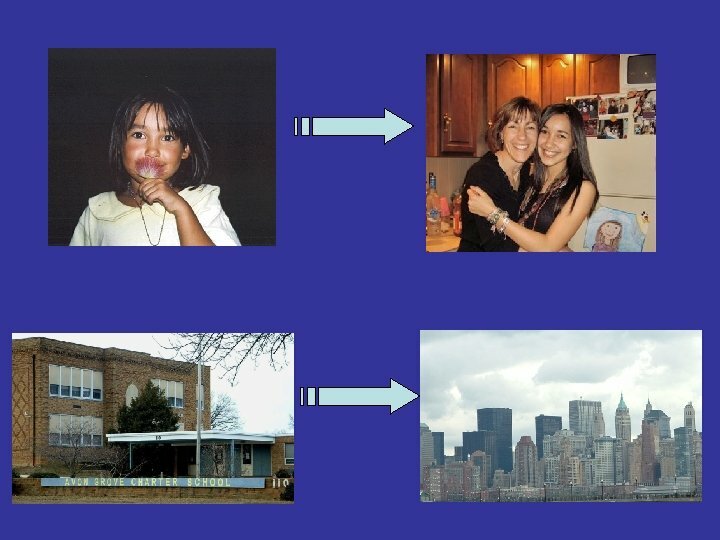 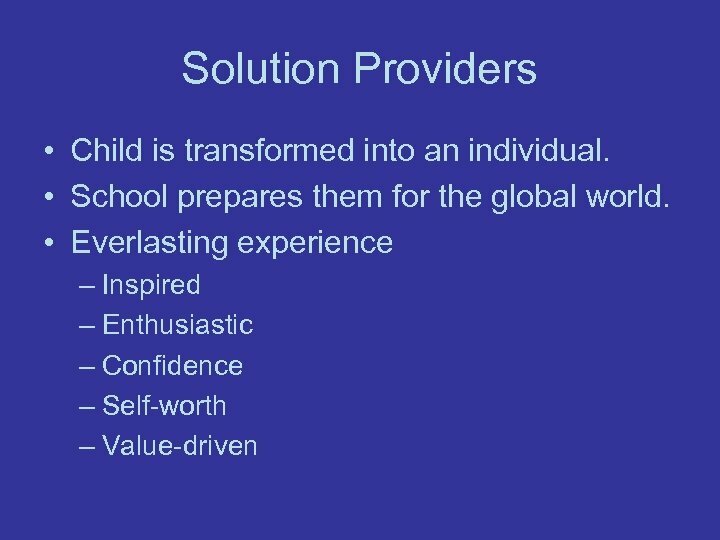 • Success of student’s education will depends on parental involvement and participation with the community. 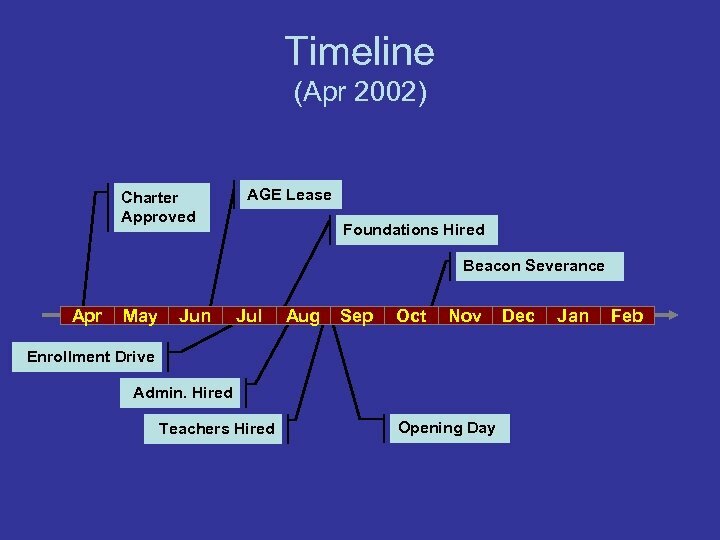 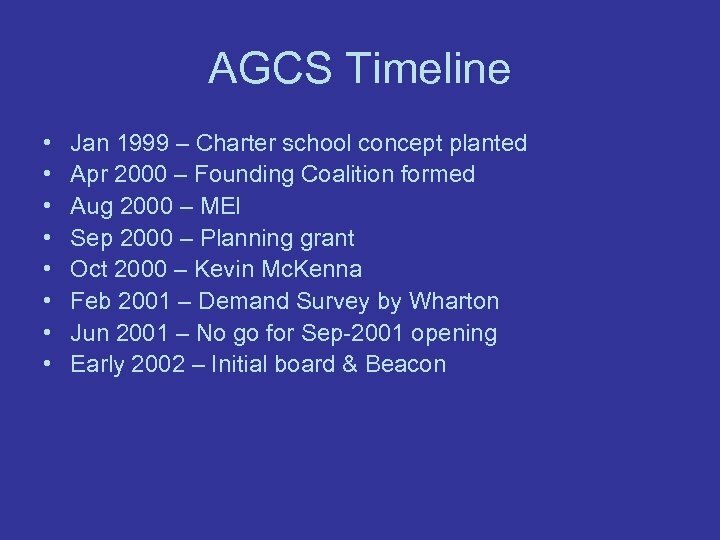 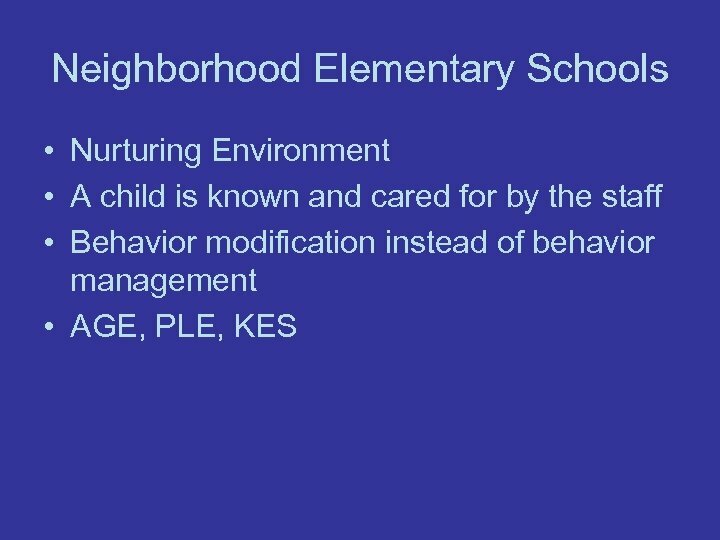 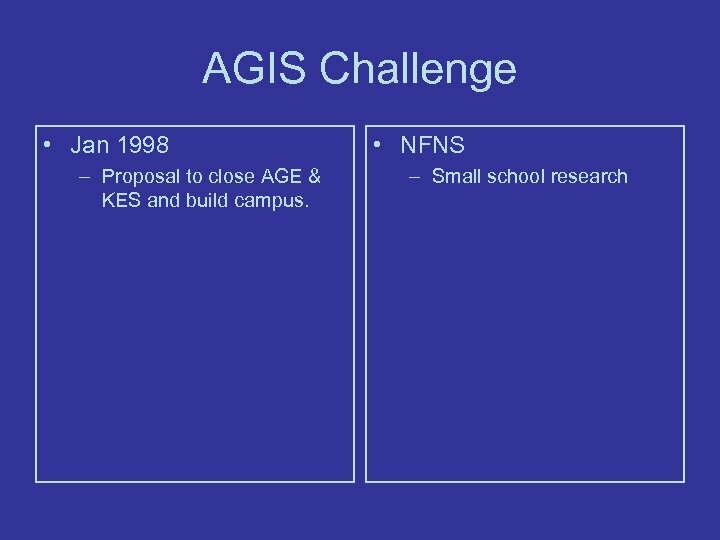 • AGCS is independent of the district and is governed by its own Board of Directors who are held directly accountable for the goals outlined in its charter. 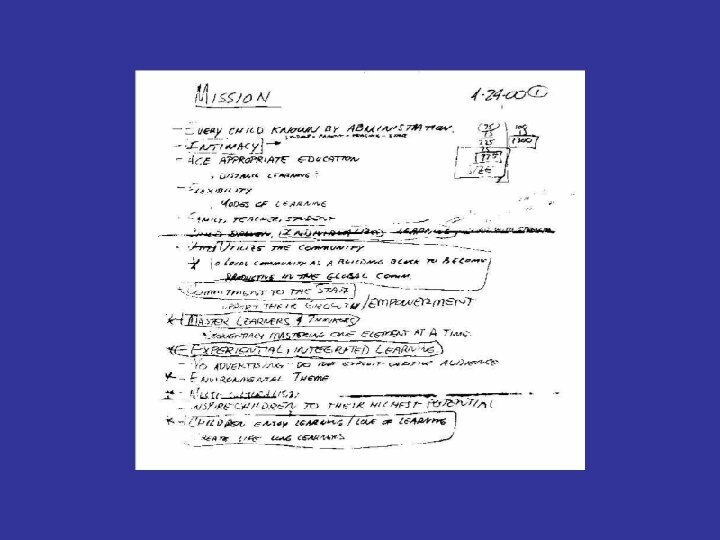 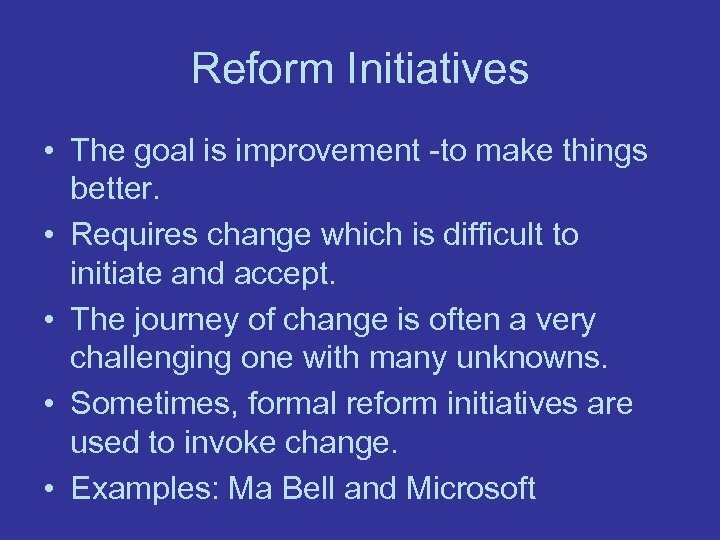 Educational Reform • Our nation has recognized that our educational system is in need of improvement. 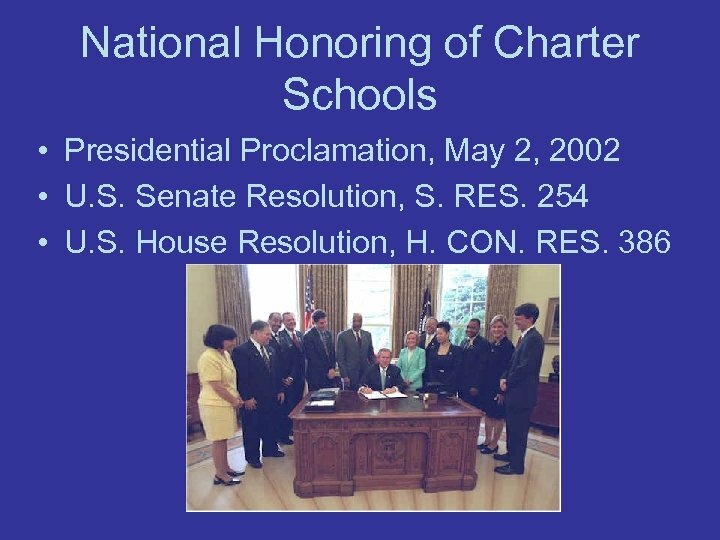 • One reform initiative that our nation supports is the Charter School initiative. 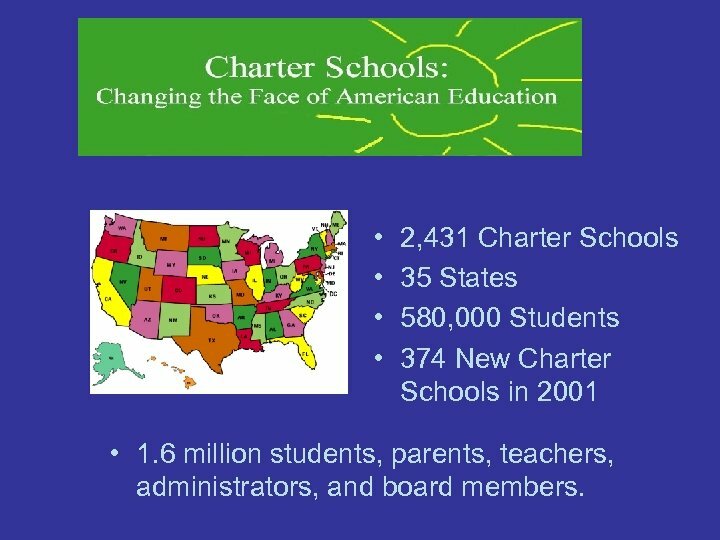 • Many districts across our nation have implemented the Charter School initiative. 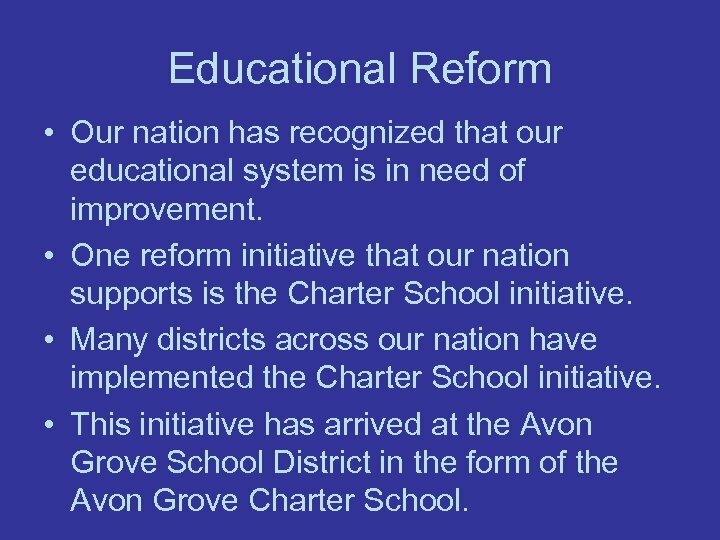 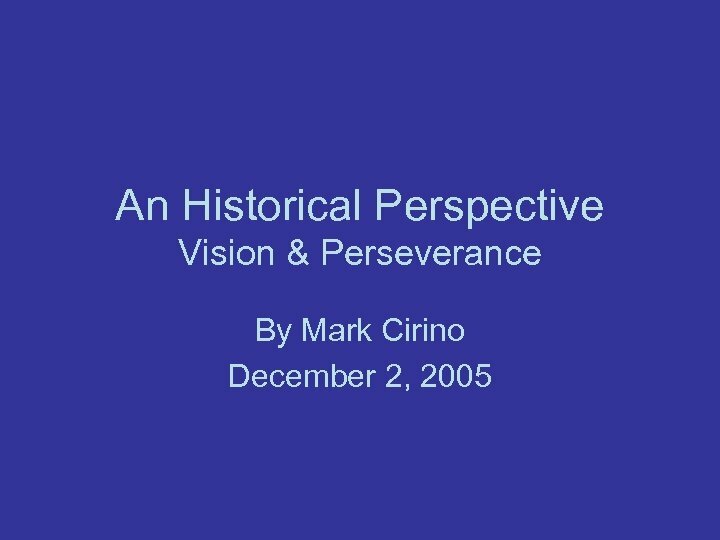 • This initiative has arrived at the Avon Grove School District in the form of the Avon Grove Charter School. 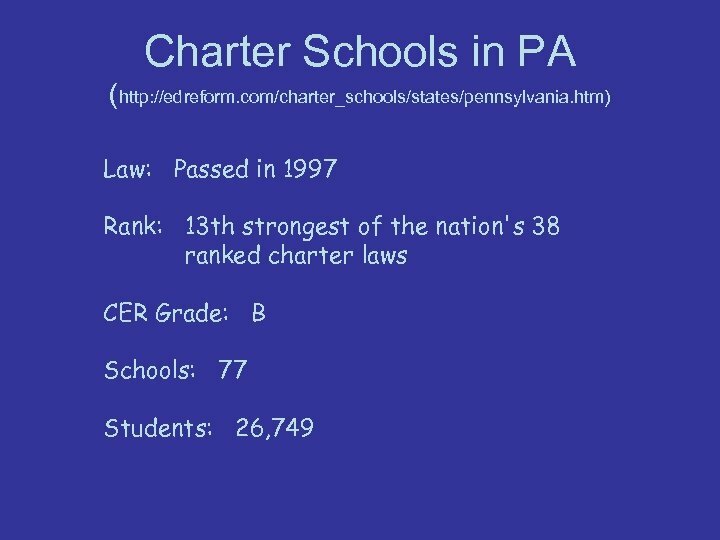 • • 2, 431 Charter Schools 35 States 580, 000 Students 374 New Charter Schools in 2001 • 1. 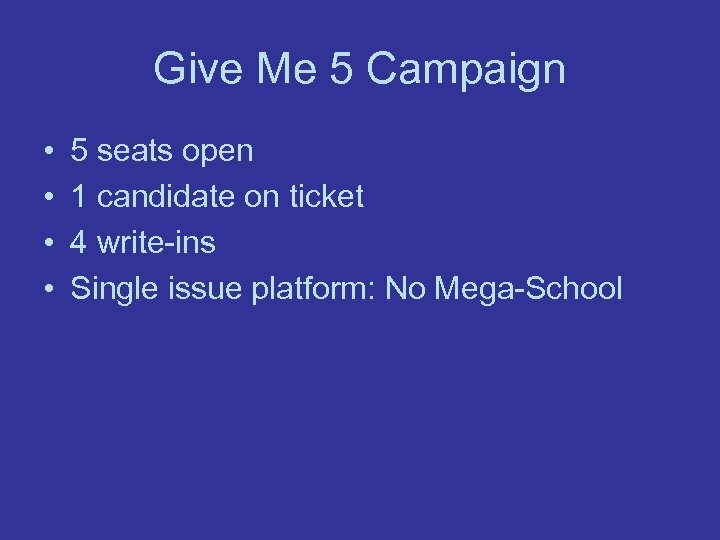 6 million students, parents, teachers, administrators, and board members.